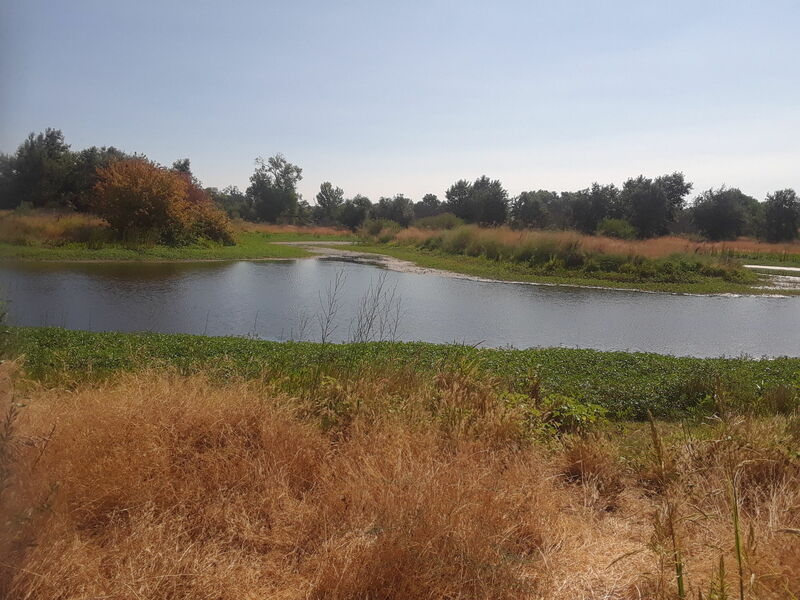 River Bluff Trail is a 1.4 mile lightly trafficked loop trail located near Hughson, California that features a lake and is good for all skill levels. The trail offers a number of activity options and is accessible year-round. Dogs are also able to use this trail. 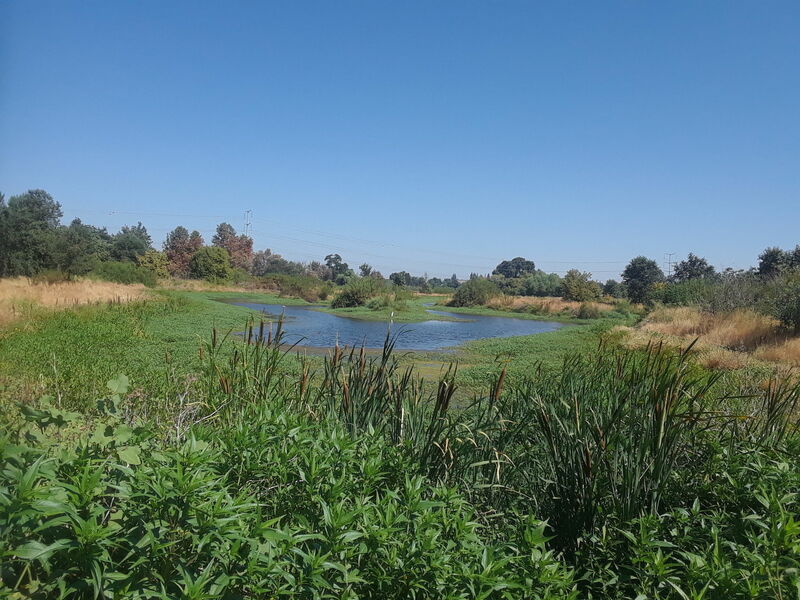 A nice, easy, short, local hike with views of the pond and river. The walking paths are wide and there were a lot of birds to be seen. 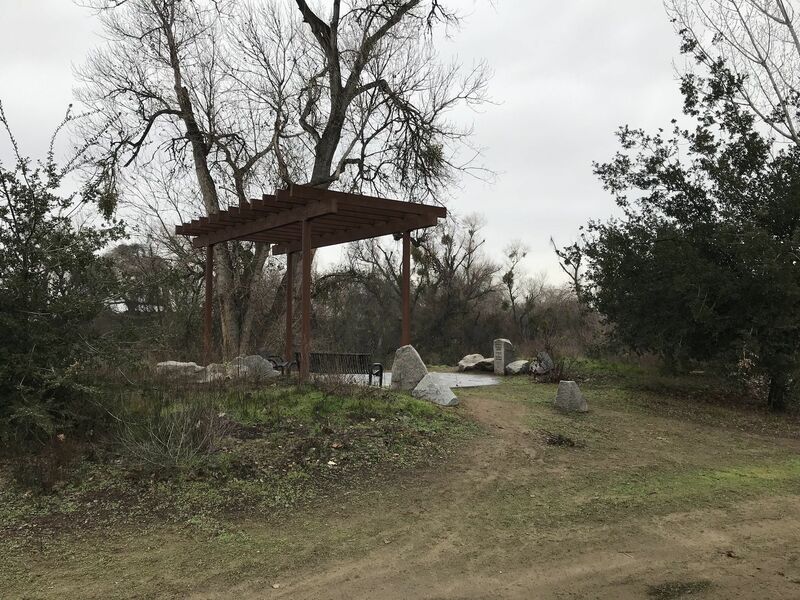 A newer looking gazebo and benches overlook the river as well to take a break. Directions to the trail were not well marked - park near the playground and walk along the fenced fields to follow the service road down hill to an old dirt parking lot where the trails really begin. Great little trail that goes through the park into the back by the river. It circles a little pond that looks like it may have bass and frogs in it. It reminded me of some of the places I fished as a kid. After I finished the trail I went next door and played the back 9.